From Iceberg lagoons to crashed plane wrecks, Iceland has some unique locations to visit. In 1973 a U.S. Navy Douglas Super DC-3 cargo plane crash landed on a black sand beach next to the ocean. 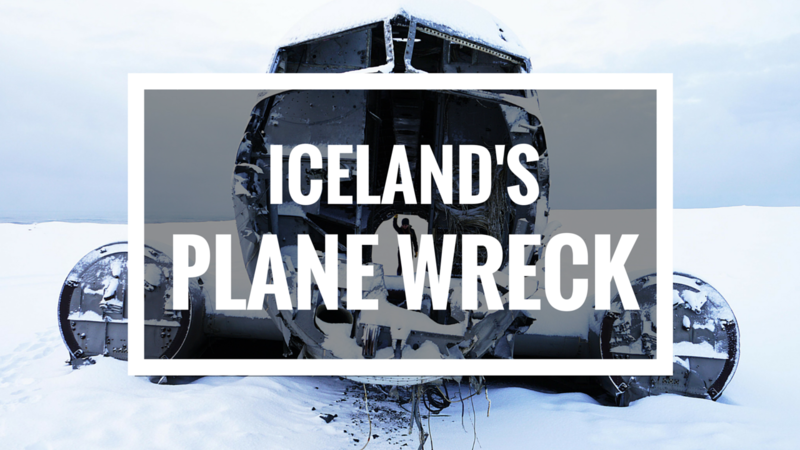 The plane’s fuselage has been sitting on Solheimasandur beach for more than 40 years and is easily accessible for those interested in checking it out. Check out my latest video of the eerie wreck in my Iceland series tonight. You can still access the wreckage, you just need to hike the 4km to the plane. No cars allowed, but walking is just fine! As of yesterday (14/3, 2016), the road to the plane is closed by the landowners due to people driving offroad there and destroying the property. It will open again if or when they find a solution to the problem or the land dries up. Here you can read all about it and also we wrote a detailed description on how to get there. Oh no! That’s too bad people are off-roading and not respecting the land. As a farmer’s daughter myself I can very much sympathize with the landowners and the damage it’s causing. I’m sorry to hear and hope it can be remedied in the future so others can still enjoy it! Thanks for sharing with me!